Velvet is taking over the fashion game this season. Whether it's a small accessory or a full dress, you can certainly find what you're looking for made of the soft material. 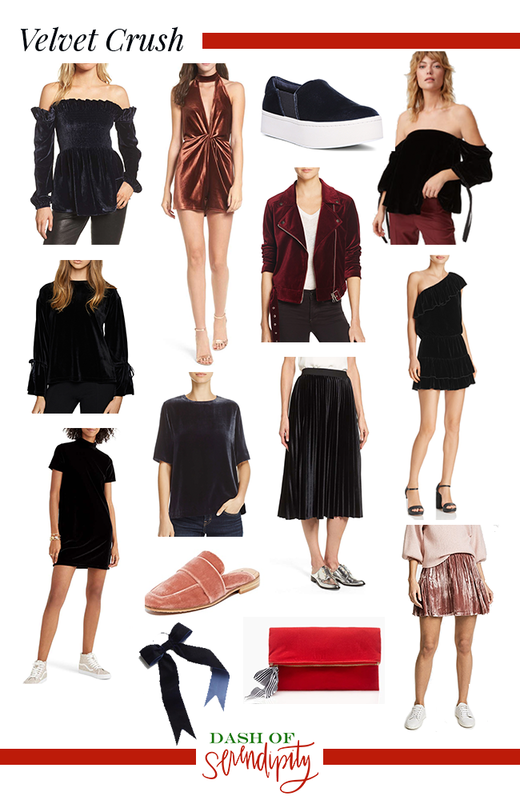 To be honest, I haven't yet added many velvet pieces to my closet, but after creating the collage for this post I can't wait to dive into the trend. 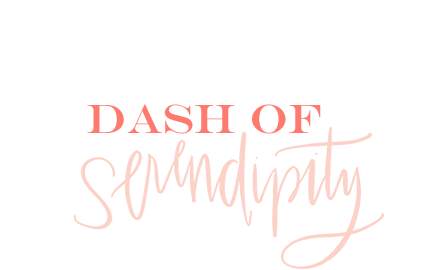 I do have this draped off the shoulder top that I wore earlier in 24 Days of Dash of Serendipity. I love it, especially in Dallas when it's warm enough to wear the top sans jacket. 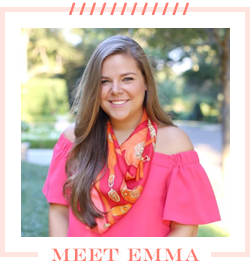 My favorite of my velvet crush picks has to be the bow hair tie (under $4!!! ), mock neck dress and slip on sneakers!